That’s why we represent the highest quality manufacturers of cabinetry, surfacing, appliances, fittings, fixtures and hardware for the home—each custom sourced to suit your home and your vision. 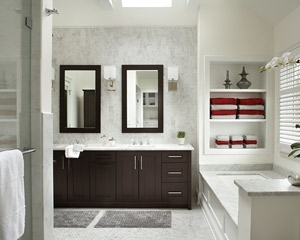 Whether for bathroom, kitchen, or custom cabinets in any room of your home, we offer a broad selection of custom and semi-custom cabinetry to suit your needs and sense of style. 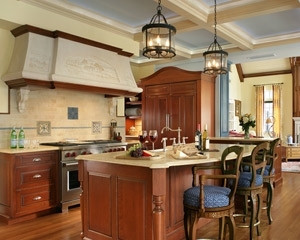 As one of the nation's leading dealers, we proudly represent custom cabinetry by Wood-Mode, and Brookhaven by Wood-Mode. 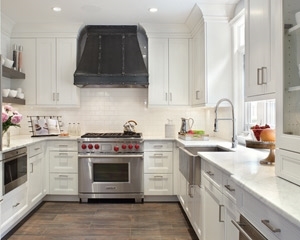 Both of these product lines offer fine furniture-grade cabinets with quality construction, versatile design options and a commitment to environmental stewardship. Lumber selection, milling, finish and assembly are all carefully handled by highly skilled wood craftsmen at Wood-Mode's central Pensylvania manufacturing facility. These cabinets are backed by a lifetime warranty. For the utmost design flexibility, quality, and infinite possibilities for style, color and finish, we offer fully custom Draper DBS cabinetry - from a true custom shop that offers "Art by Artisans", each piece handcrafted one at a time and signed by the artisan that created it. This option provides the most unique and personal options available. 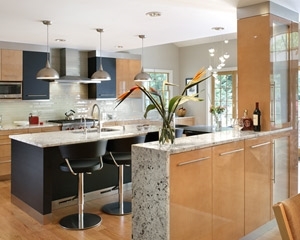 In addition, we have a locally manufactured semi-custom value line of cabinetry to round out your options. 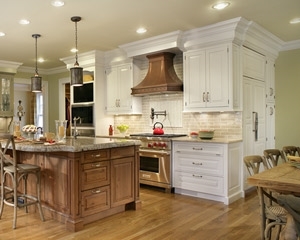 All of our cabinetry is made in the USA. Ulrich, Inc. has a range of surfacing options as broad as your particular needs and tastes. We’ll help you choose from gorgeous natural stones, impervious engineered stones, woods, glass, concrete tops and more … each fabricated to be the crowning glory in your room! 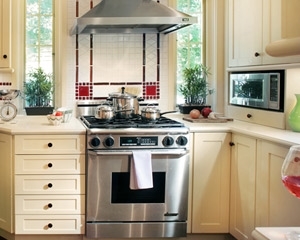 Whether you’re a chef par excellence or need appliances that accommodate your family’s daily needs, you’ll find them among our leading appliance manufacturers. 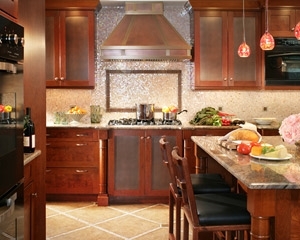 Our home renovations include a selection of the finest in kitchen and bath fittings and fixtures. The options to complement (and compliment) your style are almost endless! I am writing to thank the entire ULRICH team for transforming our kitchen and powder room into the perfect space for our 1918 home in Westwood, NJ. I believe the remodeling process was as quick and painless as it could possibly be and completely free of the horror stories that one typically hears when discussing home remodeling project.” “We have been impressed by the team approach your company uses. Every person we have come in contact with has been friendly, responsive and helpful in finding answers and solutions throughout the process.” “ULRICH operates like a well-oiled machine and we want to thank everyone for doing such a beautiful job. 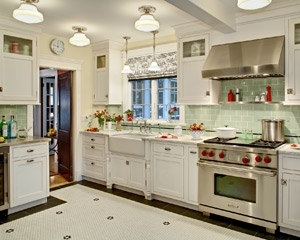 To say that we think our remodeled kitchen is exceptional would be an understatement. Not only is it beautiful, it is also very functional. I think what I enjoy most is that our kitchen is unique. The cabinets look like fine furniture. Everyone at ULRICH was extremely professional. We postponed renovating our kitchen for ten years because we heard so many horror stories from friends and neighbors about their experience. Then we met one of your interior designers – she turned our small kitchen into a high-wattage jewel box that delights us every day. ULRICH is a superior company that delivers the best ideas, the best materials and workmanship, and, in the end, the very best kitchen. Thanks you and we would be happy to recommend you to anyone who cares about perfection. Ulrich took us by the hand and led us through the process-incomparable design, material selections, installation, and even in-home instruction on our new appliances. For a start to finish guided experience that makes things very easy and leads to a beautiful and functional outcome Ulrich simply can’t be beat! Outstanding job! We couldn’t be happier with the final product. All the workers were always professional and a joy to work with. The creative design took our kitchen and our home to another level. We were delighted with our first Ulrich kitchen, nearly 20 years ago, which prompted our return. One of the best aspects of working with Ulrich is making the process a one-stop source for the best of everything. This new project exceeded our expectations once again. Our kitchen is the heart of our home and Ulrich’s beautiful design has created a warm and welcoming place for both family and friends. Our family has enjoyed many wonderful hours celebrating and sharing good food and good times. The professionalism of the Ulrich design team led to a seamless transition from the old to the new. Thank you for making our dreams a reality. Our remodeling experience with Ulrich gave us piece of mind from day one. We started out planning a master bath remodel and you have now transformed our kitchen and are working on our family room as well. We value your design expertise and dedicated service so highly that we would never think of working with anyone else! We loved the computerized renderings of our kitchen. It gave us a way to truly visualize our future kitchen! The Ulrich team made the whole process seamless - from concept to completion. And, of course now, we love the way the project turned out. We would definitely recommend Ulrich to others! Our experience with Ulrich over the last four years has been absolutely wonderful! Quality and craftsmanship are very important to us, and they delivered it in every detail across multiple projects throughout our home. From start to finish we were delighted with the service, professionalism and especially the results. We couldn't be happier with Ulrich and their outstanding team! Ulrich built a 300’ addition, created an open concept encompassing the kitchen, dining and living rooms, a hearth room with a vaulted ceiling and fireplace, and a lovely outdoor space for us – all of which looks amazing! From start to finish - with expert design, installation, and project management - the Ulrich team earned our trust and came to feel like family. Even now, after the project is complete, they remain available for any questions or concerns. Ulrich is simply the best of the best! 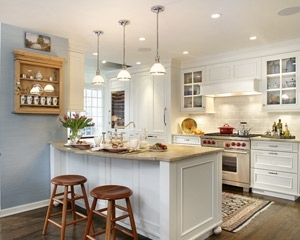 What a pleasure it was working with Ulrich, Inc. on the kitchen at the Designer Showhouse of New Jersey! Always professional, innovative with design, and totally cooperative, Ulrich made the kitchen installation seamless and made it all happen on time, with an incredibly beautiful result. My experience certainly confirms Ulrich, Inc.'s reputation as the finest design-build firm in the region. It has been our good fortune, and great pleasure to have teamed up with Ulrich, Inc. on numerous renovation projects in our home. Our designer is incredibly talented, gracious, and collaborative. The entire Ulrich team, from the President to the showroom manager, project managers, carpenters, office staff, and crew have consistently made us feel at ease and a top priority, no matter the scope of the project. Ulrich's craftsmanship and attention to detail is unparalleled. Each year our home has grown more beautiful thanks to Ulrich's work and we could not be happier with the results!